The Online Pastel course is designed for beginners and improving artists who want to develop their pastel skills and techniques while working at their own leisure. The pastel course is an unique home study course consisting of six individual projects with personal feedback and handy hints. Each project builds up in easy pictorial stages. Clear and informative photographs for you to work through in your own time explaining everything you need to know to paint a pastel landscape. With personal feedback on each of the six projects. 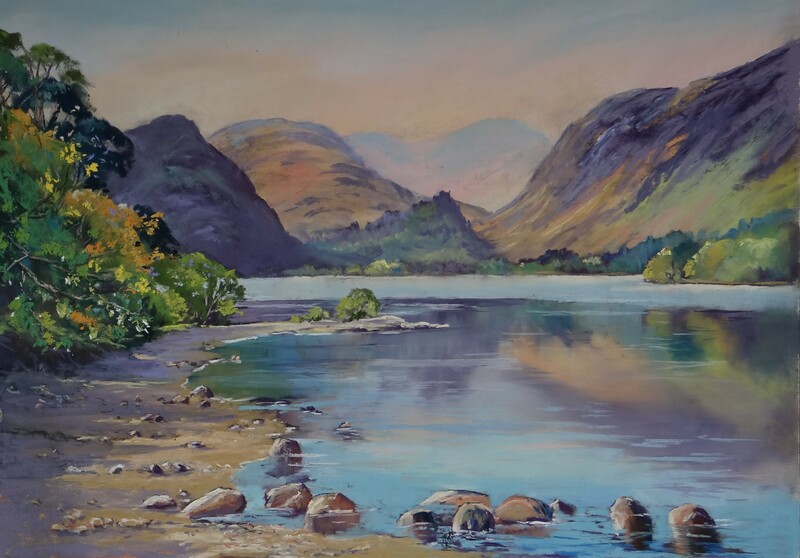 Based in the Lake District Jane paints regularly outdoors, with many of the subjects on the course been famous Lakeland scenes. 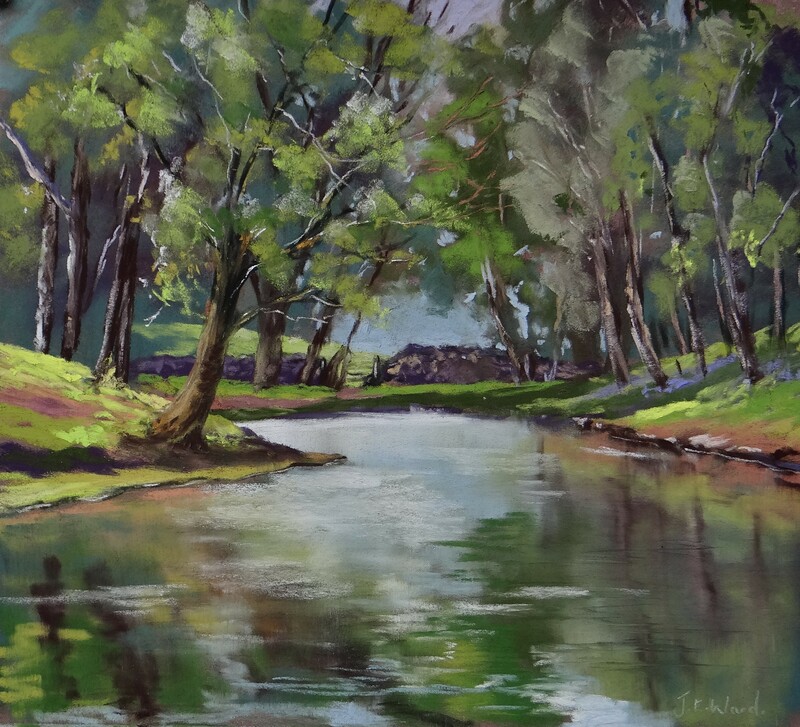 Students will learn many new tips including how to capture dramatic skies, learn about different pastel papers, create misty atmosphere in a mountain landscape, how to add impact with tonal values and many more techniques to give you the confidence to paint stunning pastel paintings. Project three Trees and reflections at Lantys Tarn. 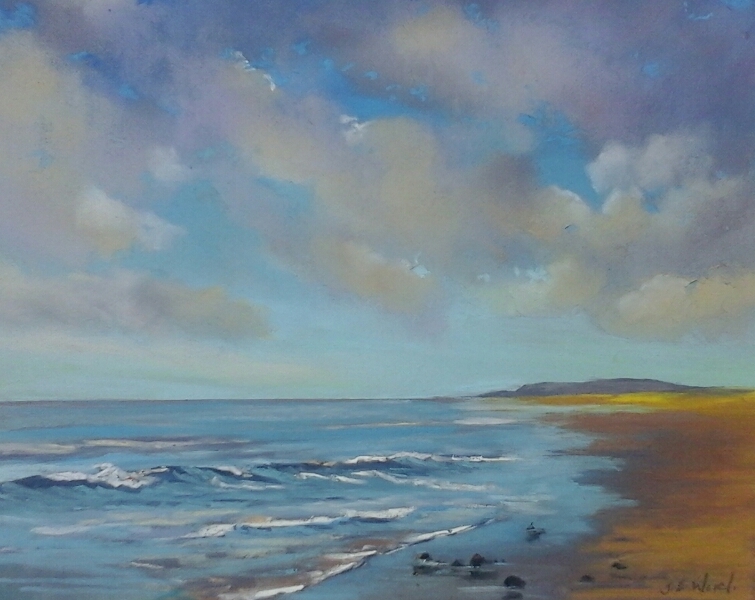 A Pastel class set in the English Landscape for you to complete anywhere. Project Six a perfect Landscape scene. Hi Jane, First thank you yet again for such positive and helpful comments! I just had to send my revised picture as thanks to your tip-A touch of yellow to the front trees and zing the background hill receded! I did get acrylics to under paint and I enjoyed using them! Your courses have enabled me to enjoy painting and given me the confidence to paint on! I can’t thank you enough! Thank you for your comments. I have thoroughly enjoyed the course and gained a lot from it. Wishing you all the best, Carol.